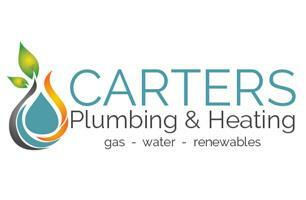 Carters Plumbing & Heating - Central Heating Engineer, Plumber based in Chichester, West Sussex. I ventured out on my own in the world of plumbing just two years ago but began my plumbing career 15 years ago as an apprentice, learning how to install cookers, ranges, boilers, bathrooms and central heating systems. I became fully qualified to City & Guilds and BTEC level in 2003 and over the years have gained top level experience as a plumbing and heating engineer, specialising today in the installation, repair and maintenance of mains gas, LPG, oil and electric boilers. I'm proficient in all areas of general plumbing and heating, as well as renewable energy and constantly keep up to date with the latest technologies. I've worked on every type of job from fixing a leaking tap to project managing multiple properties including, recently, six £1 million eco houses which were all built using renewable heating systems including solar hot water systems, ground source heat pumps, under-floor heating and biomass technology. During 2016-17 Carters were the main plumbing and heating contractor on 45 luxury homes developed by Mildren Homes in Hambrook and Hedge End, near Chichester.